(Seychelles News Agency) - Barely one month after winning Seychelles’ only gold medal in the collective sports at the Indian Ocean Island Games held in Reunion, the island nation’s ladies’ volleyball team has another hard task ahead as they prepare for the upcoming All Africa Games. Seychelles has been pooled in Group B alongside Algeria, Cameroon, Cape Verde, Ghana and Rwanda for this quadrennial competition, which will be held in Congo, Brazzaville from September 4 to 19. While the team may be anticipating putting up a fight to do as well in the continental competition, one of Seychelles most successful female volleyball player is planning to bring down the curtain on representing the country at the international level, after the All Africa Games. In an interview with SNA last week, the veteran player Jerina Bonne said the time has come for her to make room for up-and-coming talents, she sincerely believes the country is not short of. After more than two decades in the sport, Bonne boasts a Pan-African Championship, three Indian Ocean Islands Games (IOIG) and eight Indian Ocean Club Championship (IOCC) gold medals. The 40 year old is hoping to end it all on a good note. “Although I am not so sure that it can happen I would really like to win a medal in the All Africa Games to complete my collection,” said Bonne. The Captain of Arsu, a team based in the southern part of the main Seychelles island of Mahe, has nevertheless indicated that she will still be part of her local club and play every now and then so as to keep herself fit. Starting off in athletics specialising in 800 and 1,500 metre races, the seamstress by professional eventually switched to volleyball, which led to her debut in the Indian Ocean Island Games at the tender age of 19. That was in the 1993 games held in Seychelles when the team could only manage a third place finish. The bronze turned into gold in the 1998 games in Reunion five years later, a feat which marked the start of a remarkable 'love affair' between Bonne and the Seychelles women national team at the regional event. One gold medal became two in neighbouring Mauritius in 2003, before Bonne and company were dethroned by Reunion in Madagascar in 2007. Seychelles claimed back the title wining gold for the third time playing on home turf in 2011. Since her debut in the regional sporting manifestation in 1993, Bonne has represented the Indian Ocean archipelago at every IOIG except for the second time the games were held in Seychelles in 2011. “I’m still baffled as to why I was dropped at the last minute, and missing out on what would have been my third gold medal then, meaning I would have been the only player with four IOIG golds, is my biggest regret,” Bonne confided to SNA. But Bonne was not to be denied a third gold medal playing her favourite as the hard hitter achieved the feat in Reunion less than three weeks ago, to become the country’s most successful Seychellois volleyball player at the IOIG with three gold medals, one silver and one bronze. She holds the record for the most gold medals won jointly with her Arsu colleague Tina Agathine and Yvonne Legaie who plays for the ‘Friends’ team’ as they also won gold for a third time in Reunion, when Seychelles successfully defended its IOIG title. Ironically, Bonne’s first and last triumph at the games happen to have taken place in Reunion, although the last win was marred by some controversies which also saw the host Reunion pull out of the ladies volleyball tournament, which for Bonne was quite disappointing. Reunion protested after one of its female players, Myriam Kloster, was disqualified following demands made by the Seychelles and Mauritius sides, claiming she did not meet the games' regulations. “I would have much rather won the gold with them present. I do not want to take anything away from the win, but we did not get to play them [the Reunionais], and we did not even play in the semi-final, which explains why this is my least favourite win, I feel there was something missing,” she said. 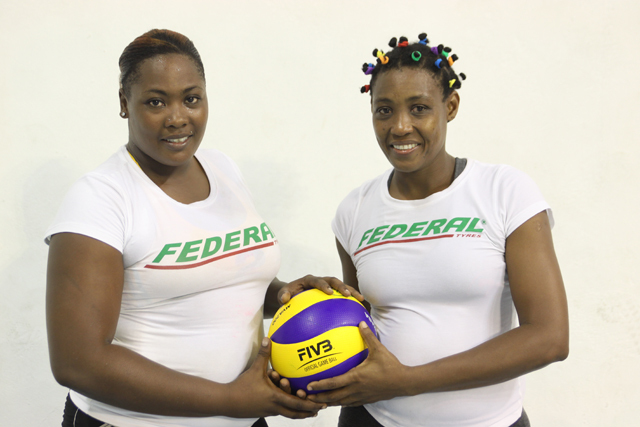 Interestingly, the love for volleyball is something Jerina Bonne has also passed on, although unintentionally, to her two daughters Marie Helene and Marielle. The eldest daughter, Marielle even got to play professionally although she returned to Seychelles late last year to re-join Arsu after a five year spell in France where she has been involved with three clubs altogether, all hailing from the ‘Excellence’ division, one class below the ‘Pro-A league’ - the top volleyball tier in the western European state. 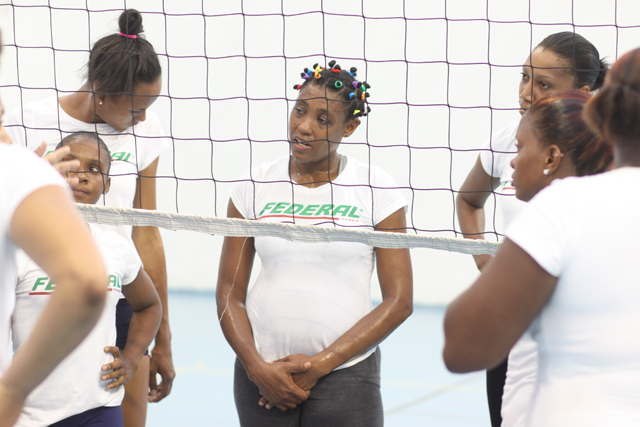 Bonne confided in SNA that she hopes her daughter would one day return to play professional volleyball as she feels Marielle is still young and has a lot to offer. For the youths she would like to see them play even better that her. 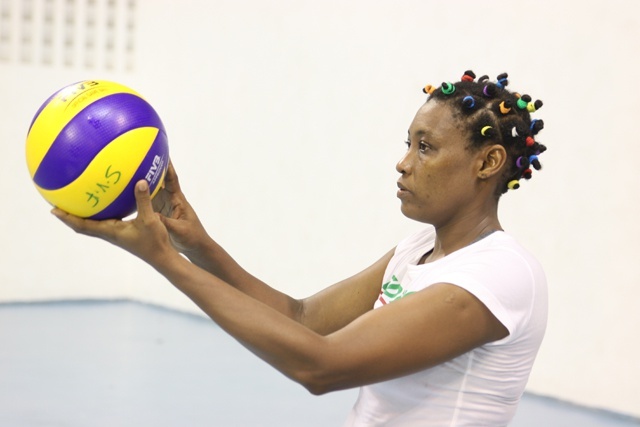 For Jerina Bonne one of the proudest moment of her days as a volleyball player will surely remain the day she was crowned Seychelles’ Sportswoman of the year in 1997.